We’re always looking for new therapists to join our team. 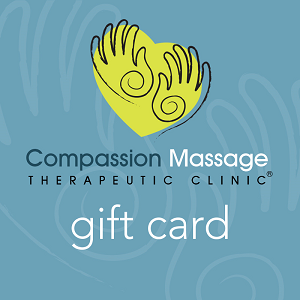 At Compassion Massage we value providing a work environment that elevates the overall well-being and knowledge level of our therapists. That’s why we’ve designed an employment opportunity that enables you to take your skills and career to the next level! Paid weekly training; that incorporates certified online courses and hands-on training in the clinic. Paid online Orthopedic certification through Whitney Lowe’s, Academy of Clinical Massage. Complimentary 60 minute massage per month – this is not a trade out session, it’s a guaranteed benefit scheduled just like a client would in our clinic. Employee work agreement: all supplies and marketing are included. 30 minute spacing between appointments means you actually have time to build a rapport with your clients. Competitive employee compensation package, with ability to earn raises through certification advancement. Free 90 minute Massage on annual anniversary. Paid PTO at your 30 minute massage pay rate. Pay that is not discounted when the clinic runs a client special. Balanced work/life structure with clinic hours that consider your well-being.